Over the course of my professional career as a space scientist (from 1966 to 2002), I probably visited the Washington, D.C. area 14 or 15 times every year. These trips averaged two or three days, visiting various government agencies involved in funding scientific research from Greenbelt, Maryland to Alexandria, Virginia and beyond. However, the only time that I can remember that I visited the Capitol Building was as a seventh grader on a spring school vacation trip to our nation’s capital. Other than that, I left it up to the civil servants in the government agencies (bolstered by aerospace industry lobbyists) to make the case to Congress for the research that I was doing. This trip was very different. I was one of several hundred people whose lives have been changed by Alzheimer’s disease (or related disorders). We were there to speak out for ourselves, our caregivers, our loved ones and our friends at the 25th Alzheimer’s Association Advocacy Forum. My wife and I arrived in Washington, D.C. on Saturday afternoon to get ready for the Alzheimer’s Association National Early-Stage Advisory Group (ESAG) business meeting and dinner on Sunday. This was one of the few times that I have met my colleagues on the ESAG face-to-face. Normally, we participate in a monthly conference call. Of course, meeting in person is much more informal and comfortable than talking over the telephone. On Monday, the National Early-Stage Advisory Group hosted a welcome reception for advocates living with Alzheimer’s and other dementias. This was my first chance to meet people from all over the nation who were touched by the disease and wanted to do something about it. During the educational session, it was my privilege to introduce Dean Hartley, Ph.D., who is the Director of Science Initiatives for the Alzheimer’s Association. I was delighted to do so because it gave me an opportunity to make a pitch to a captive audience for participation in clinical trials. I hope I convinced at least a few people living within driving distance of a research institution to volunteer for a clinical trial. It’s safe, and you might get in on the ground floor of a medical breakthrough. I might have been extremely lucky. I was one of the early-stage patients who may have benefited from the Solanezumab trial. Dr. Hartley presented a research update which included the process of drug development, the importance of clinical trials, the value of Alzheimer’s Association TrialMatch, and the impact of specific trials including the Dominantly Inherited Alzheimer’s Network (DIAN). I also met Dennis Moore, a former member of the House of Representatives from Kansas, who has Alzheimer’s and his wife. Later in the day, at the opening session, a film sponsored by the Massachusetts/New Hampshire Alzheimer’s Association Chapter called “What’s One Thing You Never Want to Forget” was shown. I had already seen it, but it gets to me every time. The Tuesday morning keynote address was by Francis Collins, M.D., Ph.D., of the National Institutes for Health. Dr. Collins presented some good news. He announced the allocation of an additional $40 million dollars for basic research on Alzheimer’s disease. This sounds like a great deal of money. It is, but medical research is very expensive. It will only support a handful of additional investigations. I think that we must not let up on arguing for additional funding for research and development. That was an excellent justification for the remainder of the day’s activities: an introduction to the art of lobbying. The basic strategy for all is to present a consistent, coherent message and be prepared for frequently asked questions. Tell your own personal story in order to show how Alzheimer’s disease affects many families and how it affects each one differently. Wednesday was the day we went into action. I talked about my extended family and how Alzheimer’s disease has affected family members across the state from the New York line to the Boston suburbs. That was how I got to visit four congressional offices and met with one elected official (Congressman Joe Kennedy) and administrative assistants for Senator Elizabeth Warren, Congressman Ed Markey and Congressman Richard Neal. In general, our reception was good. Kennedy’s family has been touched by Alzheimer’s disease and so has Markey’s family. I was pleased to find a great deal of sympathy from all the congressional offices and none of the altered behavior (like slow speech with simple words) that one sometimes gets from people who have never before been exposed to someone that had Alzheimer’s disease. I hope that the efforts of all of us who participated in this trip will have a positive result. This trip was a very positive experience for me and my wife. I would encourage everyone living with Alzheimer’s disease to get involved because only those of us who have seen the disease close up can be the face of Alzheimer’s. 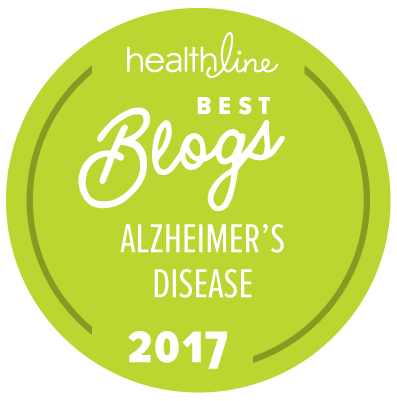 About the blog author: Allen Krieger is a member of the Alzheimer’s Association Early-Stage Advisory Group. He attended the 25th annual Alzheimer’s Association Advocacy Forum with more than 900 advocates to pay tribute to all those affected by Alzheimer’s and to help make real policy change. The U.S. Department of Health and Human Services (HHS) is working to identify how to prevent ADRD and to address the challenges faced by people with these conditions and their caregivers. The National Institute on Aging leads the National Institutes of Health’s efforts in clinical, behavioral and social research into Alzheimer’s disease, aimed at finding ways to treat and ultimately prevent the disorder. The Centers for Disease Control and Prevention is working to implement the Healthy Brain Initiative, including assisting with monitoring the public health burden of cognitive impairment and enhancing understanding about how diverse groups perceive cognitive health. The Administration on Aging Alzheimer’s Disease Supportive Services Program is helping to create responsive, integrated, and sustainable service delivery systems for people with dementias and their caregivers.